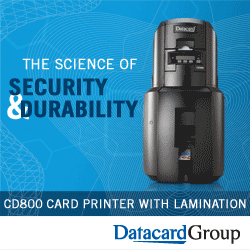 Faster printing, more reliable performance and the highest resolution available make the CD800 a great fit for a variety of applications, including state & local governments, corporate or educational applications. This PCI Certified HSM offers comprehensive EMV support from transaction processing to card issuance capabilities. Lessen your burden by outsourcing PIN Mailing to us and see an increase in your profits, productivity, level of quality, business value, business performance and much more. Crest Technologies Co-Sponsors The 13th International E-Banking Conference & Exhibition 2015. Come and visit us at The 13th E-Banking Conference & Exhibition at PC Hotel Karachi on April 23rd, 2015. We will be on-hand to answer any of your questions at Stand # 26. Crest Technologies participated at PrintPak 2014 held on November 28 to 30 at Lahore International Expo Center, Lahore, Pakistan. PrintPak is a prestigious event which provides players of the industry the opportunity to share knowledge, gather insights and set a vision for the industry’s future.